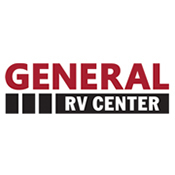 Deciding which type of recreational vehicle will work for you and your family? Imagining how everyone will sleep after exploring the campgrounds? This Freedom Express Select 28.7SE travel trailer allows you to have your tow vehicle available to go at anytime after setting up at the campsite. You can make meals inside, or outside on the camp kitchen, the choice is yours! The two exterior entry doors provide a "sneak out" door when you don't want to disturb the sleepy travelers in the family. You will find sleeping space for eight to nine between the private front bedroom, double size bunk beds, and the furniture once folded down. The rear bathroom next to the bunks is super convenient at night for the kiddos. You will find plenty of storage inside, as well as outside in the pass-through compartment. Take a look to see how everyone's camping gear will fit perfectly into this model.